We know her as the daring depression era aviatrix who mysteriously disappeared but she was more to the fashion world than simply "Lady Lindy. Amelia Earhart was America's first celebrity fashion designer and the first to insist on selling separates to fit all shapes and sizes. 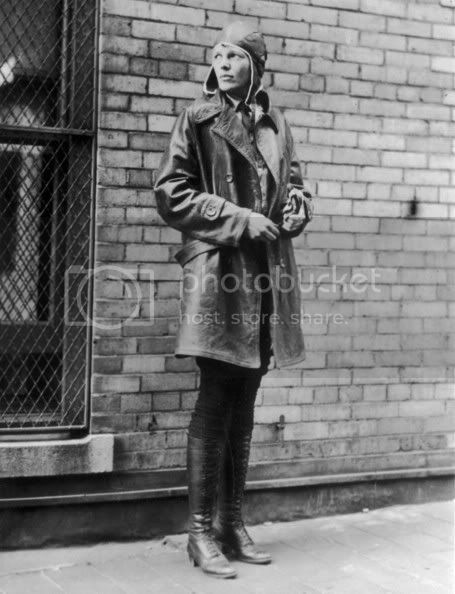 "I have always believed that clothes are terribly important in every woman's life....And I also believe that there s much of beauty in aviation-color and line that is exclusive to the air.."
Amelia Earhart was born in Atchison Kansas on July 24, 1897. Her mother raised her and her sister to be tomboys, wearing bloomers, climbing trees and playing with bugs. Her first "flight" occurred when her uncle helped her build a ramp, attached to the roof of a shed with a wooden box that she could ride in like a makeshift roller coaster. She flew down the ramp, into the air and crashed to the ground, later telling her sister "it's just like flying!" In 1920, she had her first ride in a real airplane with pilot, Frank Hawks. She said "By the time I had got two or three hundred feet off the ground, knew I had to fly." 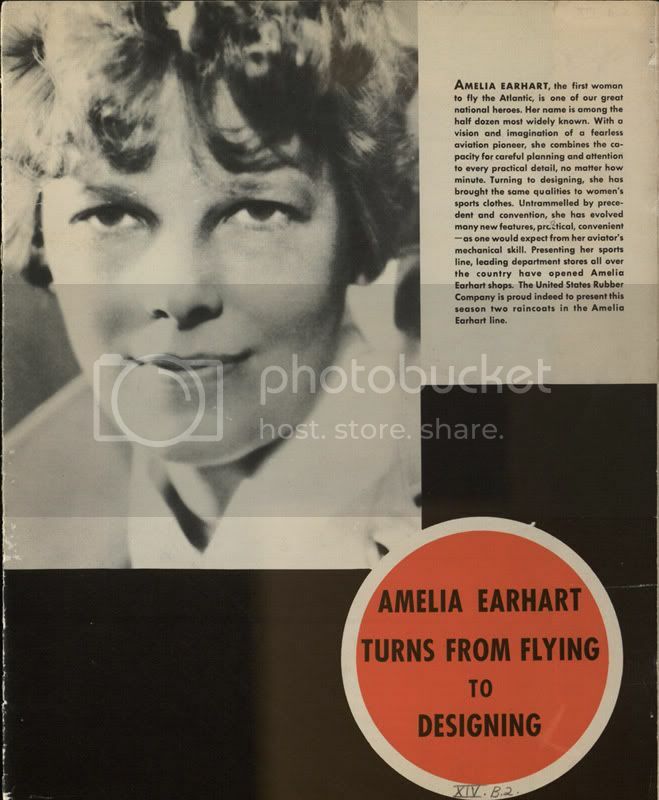 Amelia worked several jobs to save enough money for flying lessons and in January of 1921, she began lessons with the pioneer female aviator, Anita Snook. In October of 1922, she set the world record for altitude among female pilots at 14,000 feet and n the following year, she became the 16th woman to receive a pilots license. 5 years later, she became the first woman to fly across the Atlantic, although she was only a passenger in the plane. Finally, on May 20, 1932, she piloted a small Lockeed Vega 5B from Newfoundland to Ireland, making her the first woman to fly solo non-stop across the Atlantic. Amelia Earhart was the "Queen of the Sky"'. 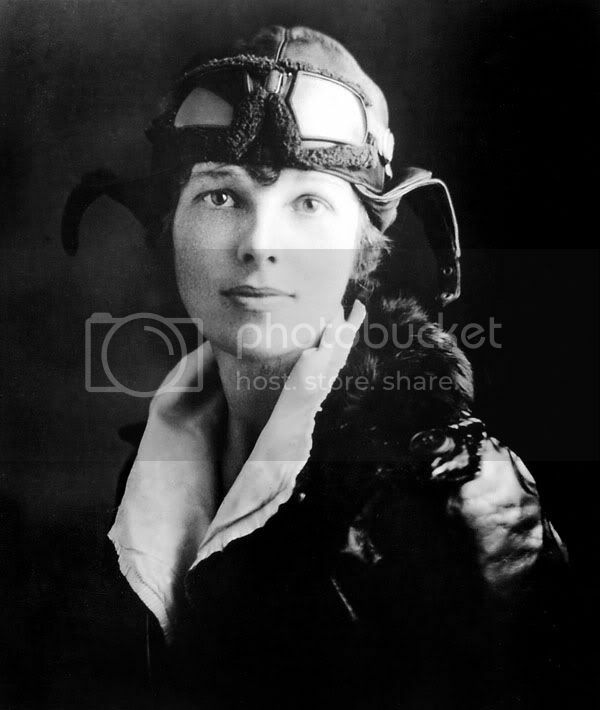 She broke several more world records for speed, altitude, transoceanic fight and women's aviation. She became highly decorated for her achievements in flight. 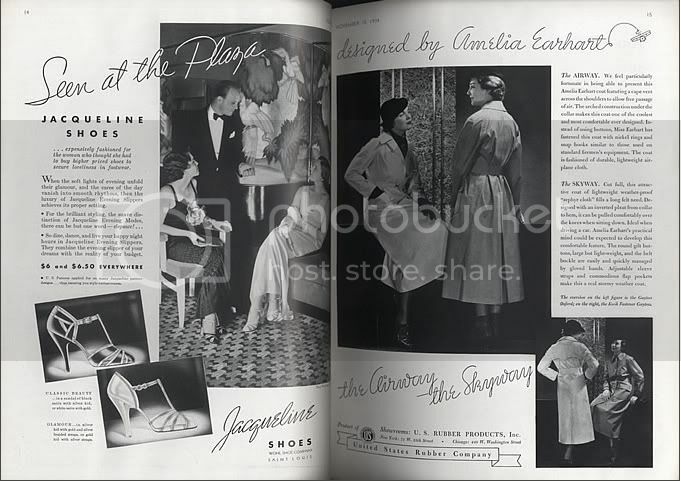 She was a spokesperson for several companies of the time including Lucky Strike and her own luggage an fashion lines. She was an associate editor for Cosmopolitan Magazine, all to raise funds for her aviation projects. On June 1, 1937, she and her co-pilot Fred Noonan took off from Miami to begin her quest to circumnavigate the globe. They completed 22,000 miles of the journey when they reached Lae, New Guinea. On July 2nd, they took off from Lae headed to Howland Island. The U.S. National Guard was stationed at Howland, waiting to guide her in. These are her transmissions to the island. 7:42 am "We must be on you, but cannot see you—but gas is running low. Have been unable to reach you by radio. We are flying at 1,000 feet." 8:43 am "We are on the line 157 337. We will repeat this message. We will repeat this on 6210 kilocycles. Wait." a few minutes later, she radioed, "We are running on line north and south." Amelia Earhart and Fred Noonan were never seen or heard from again. Search efforts went on, scanning Islands throughout the Pacific. Rumors and conspiracies surround her disappearance but no one has ever been able to confirm her fate. This 2009 article from Discovery news discusses a possible resting place of Amelia Earhart and Fred Noonan, citing that they may have crashed on an island in the Pacific Republic of Kilibati. 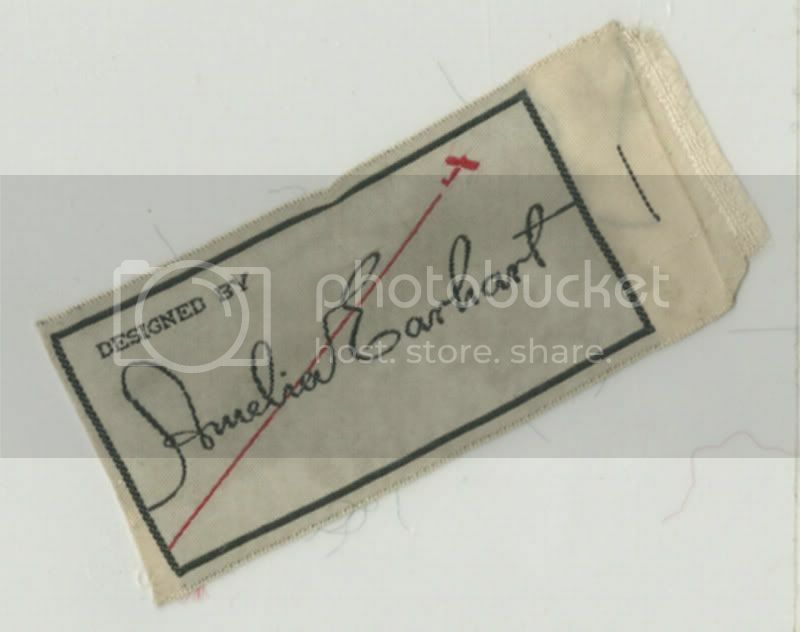 Although she claimed to have sewn her own clothing in college, her sister stated in her biography of Amelia that "she simply sewed two lengths of dyed material together gathered one end on a narrowed belt and turned the other end up so it cleared the floor eleven inches all around." A 1928 New York Sun article proclaimed "Miss Earhart Spurns Fashions" and fan letters told her to do something about her hair. 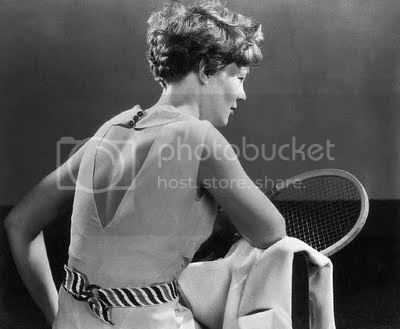 In spite of her unconventional style choices, she was still named one of the top 10 best dressed in 1935. 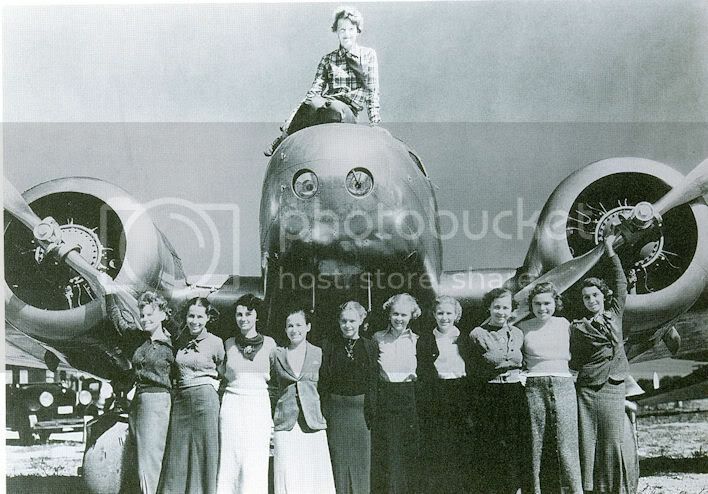 Since women's aviation was relatively new, Amelia designed a flight suit for the ladies of the Ninety-Nines as well as jump suits for herself. In an attempt to make Amelia Earhart a household name and make money to support her aviation, she debuted her own clothing line in 1934. 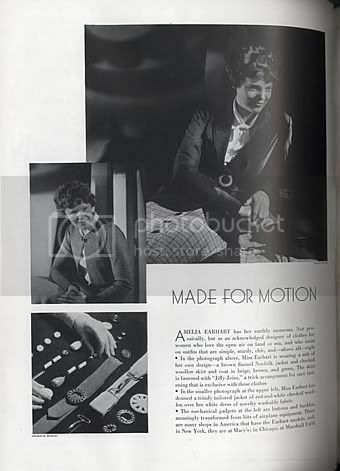 The line included affordable, practical designs for active women like herself. She took inspiration from her love of flight and used it all of her fashion designs. In an interview, she said she always uses "something characteristic of aviation, a parachute cord or tie or belt, a ball-bearing belt buckle, wing bolts and nuts for buttons." 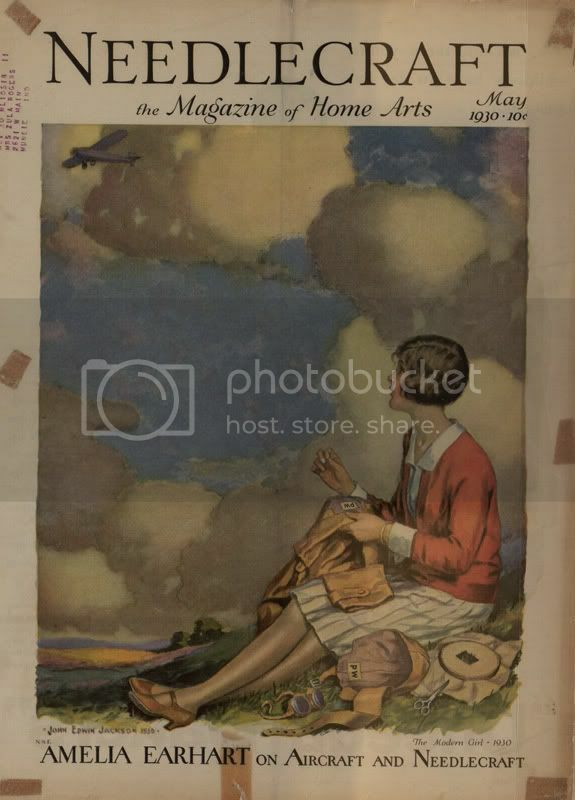 Her garments were made of parachute silks, durable cotton and tweed and featured flight-themed details such as buttons shaped like airplane wheels and propellers. The clothing line appeared in very neutral shades of brown, gray, red, blue and taupe. 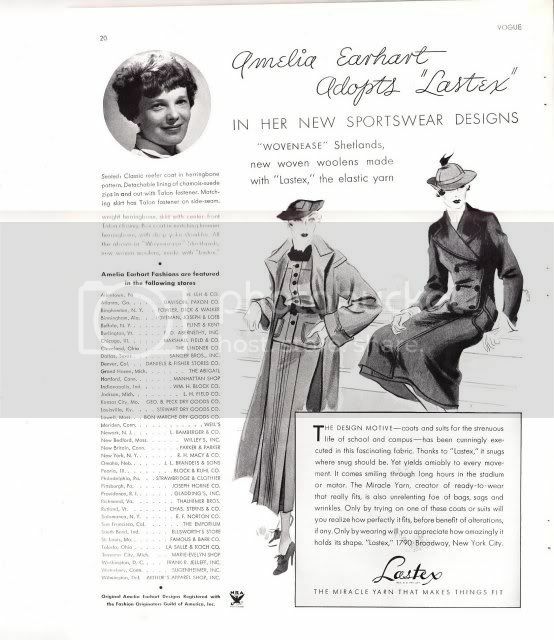 In spite of her efforts, the Amelia Earhart clothing line was a flop and ended after its first season. This is the first designer I talk about when I teach 20th century fashion history to my students. It's a tragic story, and her role as "celebrity designer" is known so little. The kids these days don't usually know who she is, so the story is doubly fascinating to them. 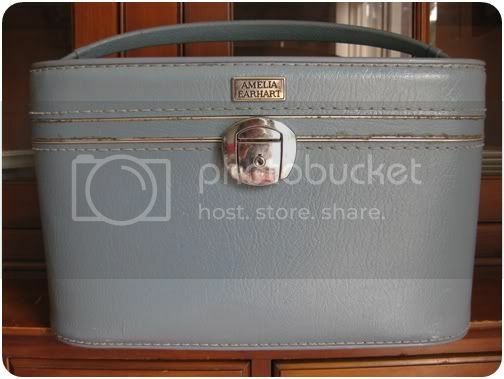 Brilliant post, sweet Brittany, I love the range of images you provided - including on of your very own AE train case (so awesome!). Though I very rarely wear pre-1940 vintage fashions, there is something more than a little intriguing and exciting about the idea of taking one's fashion's cues from such Amelia and dressing in a 30s look that's inspired by this aviation pioneer. 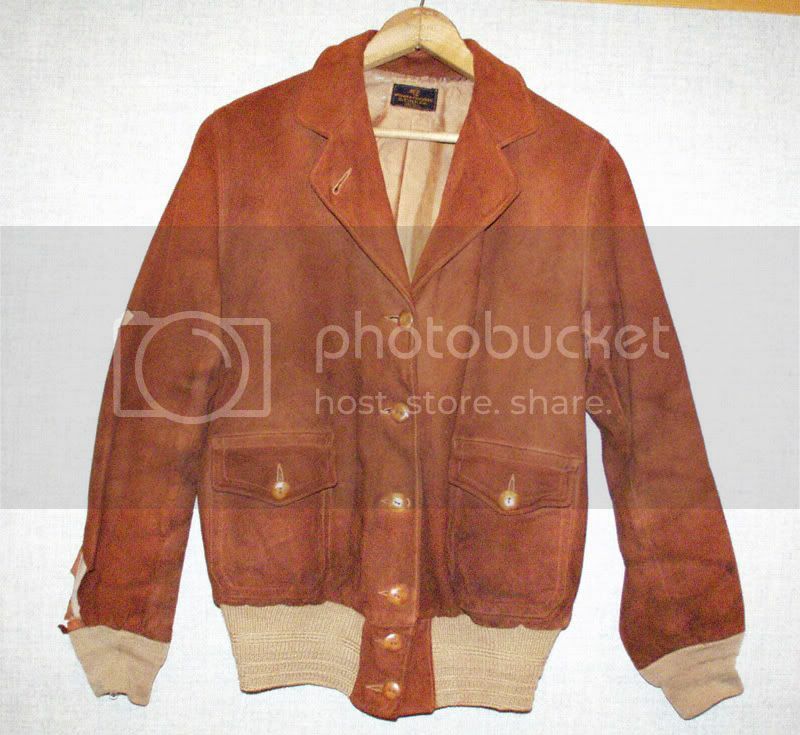 I'm fascinated by the Amelia Earhart clothing line...I've seen her luggage line, but never any clothing. I imagine it must be pretty rare. Thanks for a great post! I LOVE that train case. Love this post! i love how you take women you wouldn't usually see as fashion icons and shed some light on their past.